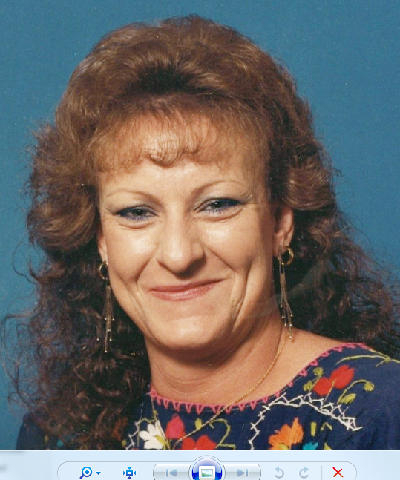 Bobbie "BJ" Jean Morris passed away Monday, January 5, 2015, at her house in Buffalo Gap. A visitation and prayer service will be held from 1 to 3:00pm, Sunday, January 11, 2015, at Fry~Smith Funeral Home, Tuscola; Rick DeFoore officiating. BJ was born on February 12, 1956 to Woodrow and Ollie Mae (Jones) Yeatman in El Paso. BJ lived in El Paso until the age of eight, and upon her parents deaths, she then moved to Southern Taylor County to live with her sister Mary who raised her. BJ went to school in Buffalo Gap then attended Jim Ned High School, during high school BJ was very active, she was Miss High School, class president, varsity basketball, and on the cheer squad. She is remembered by her classmates as being very kind, warm and caring. She graduated from Jim Ned High School in 1974. BJ worked in the hotel and restaurant management fields, managing several area restaurants. She later became stay-at-home grandmother, taking care of her grandchildren and enjoying time with husband. She married Floyd Morris on November 19, 1984 in Tuscola. BJ and Floyd moved several times before returning to her home town of Buffalo Gap. She was known for her huge heart and opinions on various topics. BJ loved her family deeply and looked forward to her children and grandchildren "just chilling" around the house. BJ's warmth and ability to make friends continued and found a new avenue with the computer. Thanks to social media, B J made friends around the world who's relationship she cherished, but most importantly she was able to keep in touch with friends she grew up with. She is survived by her husband Floyd Morris of Buffalo Gap; son Lee Morris and fiance; Jachlyn Hayhurst of Dudley; daughters Machelle Corley of Abilene, Brandy Blankenship of Abilene, Allyshia Barrientes and husband Bidal of Arlington; brothers Roy Yeatman of El Paso, Charlie Yeatman of El Paso; sister Mae Dean Griggs and husband John of Tuscola; six grandchildren and one great grandchild. She was preceded in death by her parents, sister, Mary Albriton and a brother Jessie Yeatman.